» Faith Development » Be a part of lifelong learning, fellowship, and service at Central Unitarian! 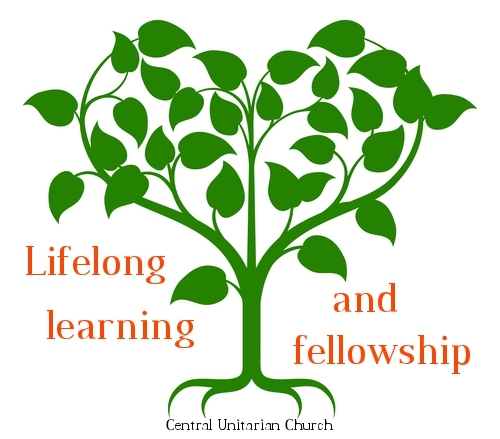 Be a part of lifelong learning, fellowship, and service at Central Unitarian! September 15, 2016 1:22 pm Faith Development Comments Off on Be a part of lifelong learning, fellowship, and service at Central Unitarian! Be a part of lifelong learning, fellowship, and service! The Meditation Group focuses on and provides practice in many forms of meditation including guided, silent, walking, and others. Time is provided for voluntary sharing of experiences. Susan Bruce leads the group, which meets the third Thursday afternoon of each month through June.Women’s Alliance Casserole Lunch is a favorite! Join the Women’s Alliance for delicious food and fellowship. The Women’s Alliance is known for their soups, but wait until you taste their casseroles! Menu includes Shepherd’s Pie, Mac and Cheese, Chili, Chicken Pot Pie, and more. The requested donation is $10 per person and $20 for families, which supports Spring Fling, the annual, all-congregation fundraiser held in April. The Women’s Alliance plays an active and important role in the life of Central Unitarian Church, presenting a variety of programs year-round. The alliance meets on the first Sunday of the month at 9 a.m. in the Assembly Room. All women are welcome to join! The annual dues are only $25, a portion of which is sent to the Unitarian Universalist Women’s Federation in Boston. Join us for the second of a three-part discussion of the new book from Beacon Press, “Guns Don’t Kill People, People Kill People and Other Myths About Guns and Gun Control” by Dennis Henigan, presented in conjunction with the film “Making a Killing: Guns, Greed, and the NRA” presented in September. Organized by the Adult Religious Education and Social Action Committees and facilitated by David Horst, Minister, and Annette Machac, Church Member. The series concludes on November 30. Children and Youth Religious Education Committee hosts a Halloween Party! Everyone is invited to the annual Halloween Party hosted by the Children and Youth Relgious Education Committee. Games, face painting, treats, crafts, and fun for all! If you’d like to volunteer, contact Liz Timperman, Chair. Ever wonder why the Book of Proverbs is so enduring? It is one of the shorter books in the Bible yet serves as a bridge between Jewish and Christian thought. The book also provides us with practical guidance for everyday living. Join Jane de Vries in this Adult Religious Education program. Don’t forget to bring your favorite proverb to share! Rev. Horst and the Pastoral Care Committee invite retirees, seniors, and everyone to the first Lunch with the Minister of thechurch year. Bring a bag lunch and Rev. Horst will prepare and serve a seasonal soup, offer a blessing, and lead an informal lunchtime conversation relating to November’s monthly theme “Story.” The monthly Lunch with the Minister resumes in January and continues through June. All are welcome to join the Book Group discussion of “The Secret History: by Donna Tartt. Under the influence of their charismatic classics professor, a group of clever, eccentric misfits at an elite New England college discover a way of thinking and living that is a world away from the humdrum existence of their contemporaries. But when they go beyond the boundaries of normal morality their lives are changed profoundly and forever, and they discover how hard it can be to truly live and how easy it is to kill. “The Secret History” is also available as an audiobook via Hoopla. Gather with us by candlelight for a celebration loosely adapted from All Hallows Eve. After the long work week, fill your soul with evocative music and readings, peaceful meditation and ritual to honor, and reconnect with the spirits of our beloved ancestors. Church Members Susan Gempler, Cathy George, and Abby Kessler of the Music and Worship and Membership Committees lead the program. Light refreshments served afterwards. Suitable for adults and youth ages 14 and up. Doors open at 7:45, and light refreshments are served afterwards. The Adult Religious Education and Membership Committees introduce “UU and You,” a monthly gathering of new, prospective, and long-time members to discuss Unitarian Universalist beliefs, history, religious practices, programs and ministries, and congregational governance. David Horst, Minister, and Cathy George, Member of the Membership Committee, lead the program. In this second session we discuss Unitarian Universalist beliefs and history. Future sessions are scheduled on December 11, January 15, February 12, and March 26. Save the date for our annual blood drive! Social Action Committee presents the documentary film ‘Dream On,’ directed by Roger Weisbert. The 99-minute film is co-sponsored by the Network for Responsible Public Policy, Social Responsibilities Committee of Unitarian Society of Ridgewood, and the Unitarian Universalist Church of the Palisades Racial and Social Justice Team. The discussion moderator is Iwanka Kultschyckyj. Doors open at 7. Refreshments are served, and donations are welcome. The Men’s Group takes a trek to New York in November to explore the High Line followed by lunch at the Chelsea Market. The carpool leaves the church at 9:30 a.m. Contact Church Members Jeff Merrigan or Robin Cannata for more information. The High Line is a public park built on a historic freight rail line elevated above the streets on Manhattan’s West Side. It runs from Gansevoort Street in the Meatpacking District to West 34th Street, between 10th and 12th Avenues. Come to the third of a three-part series exploring the sacred texts of Islam in context of today’s events. Led by Josef Machac, Church Member, this Adult Religious Education program includes readings from and video presentations followed by facilitated discussions. Topics are the relation of Islam to other religions and nonbelievers, the role of women in the family and society, and Jihad and Holy War. Will you ‘Keep the Promise’ to our children and youth?